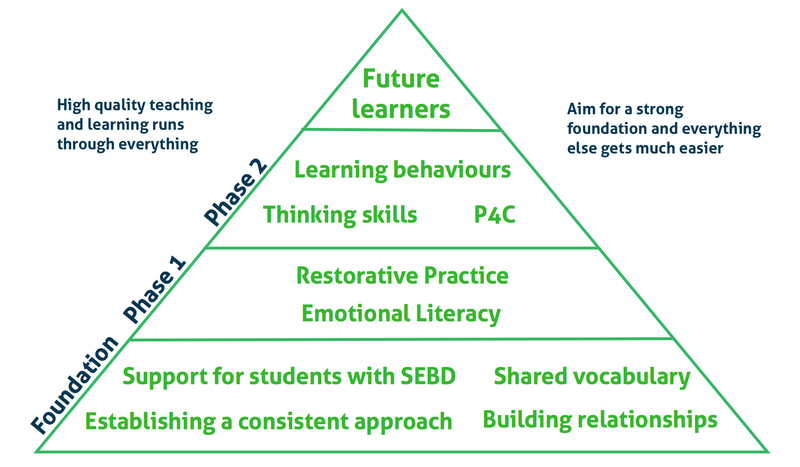 Are Restorative Practice and behaviour management strategies mutually exclusive? Not at all. Much of the training I do is about the best ways to build relationships, and good relationships are what good communities are based upon. Great relationships need to be based on fair process, as I blogged about last week, but the other essential element is what I call “structured talk“. Have you ever listened to your partner or your child for three minutes without interrupting? Try it. It’s really hard. We seem pre-programmed to interrupt with comments and advice. When we talk to others about our problems we often just want to get stuff off our chest or to try to explain them to someone. We don’t always want solutions (although, of course, sometimes we do). I think we’d all love to have a real and established way to get listened to. It’s the same in schools. Our usual social norms of conversational structure just aren’t good enough. Teachers and schools can really benefit from more formalised ways to communicate. Restorative practice helps give organisations this essential structure, not just between children and adults but between children and children, and between colleagues. According to RP, we need to be in that top right square: the WITH box i.e. equal measures of nurture and structure. Or, as I mentioned a few posts back: really nice and really strict. We need the structure of a system that helps identify pupils that need our support and a process that encourages the building of real community. Here’s an example. Let’s say two pupils have been involved in an incident. We’re not sure what happened but one is complaining that they have been harmed. Here are some questions that might be asked to both pupils by a neutral other, perhaps an adult or even another pupil. 2. What were you thinking about at the time? 3. What have your thoughts been since? 4. Who has been affected by what you did? 5. In what way have you been affected? 6. What do you need to do to make things right? 1. What did you think when you realised what had happened? 2. What have your thoughts been since? 3. How has this affected you and others? 4. What has been the hardest thing for you? 5. What do you think needs to happen to make things right? 4. How can we move on? It’s important that the neutral third person simply asks the questions. They are not there to sort things out or act as judge. Notice that the questions do not seek to lay blame at anyone’s door. They don’t ask the classic, “Why did you do that?” It’s simply a chance to talk and to be listened to. Just as importantly, it’s a chance to reflect. Now obviously this takes time to embed, but using these questions as a basis for the reparation of relationships is amazingly powerful. In my experience of using it in school, asking the questions the first few times can lead to predictable shoulder-shrugs and “don’t know”s. Lots of pupils will simply be expecting the traditional game of blame-laying and will switch off from the process before they sit down. This is another reason the approach needs some time before you see the benefits. It needs some time and it isn’t successful every time but really, shouldn’t we be giving children the chance to explain their actions, even if they choose not to take the opportunity every time? More information on RP can be found at the official IIRP website here but I think it’s important to remember that it’s not a set of strategies but a philosophy. Why not try using the questions next time you think it’s appropriate with the children you work with? It can never do any harm to give our students the chance to build community. Gotta love an easy win. What does Future Behaviour look like? 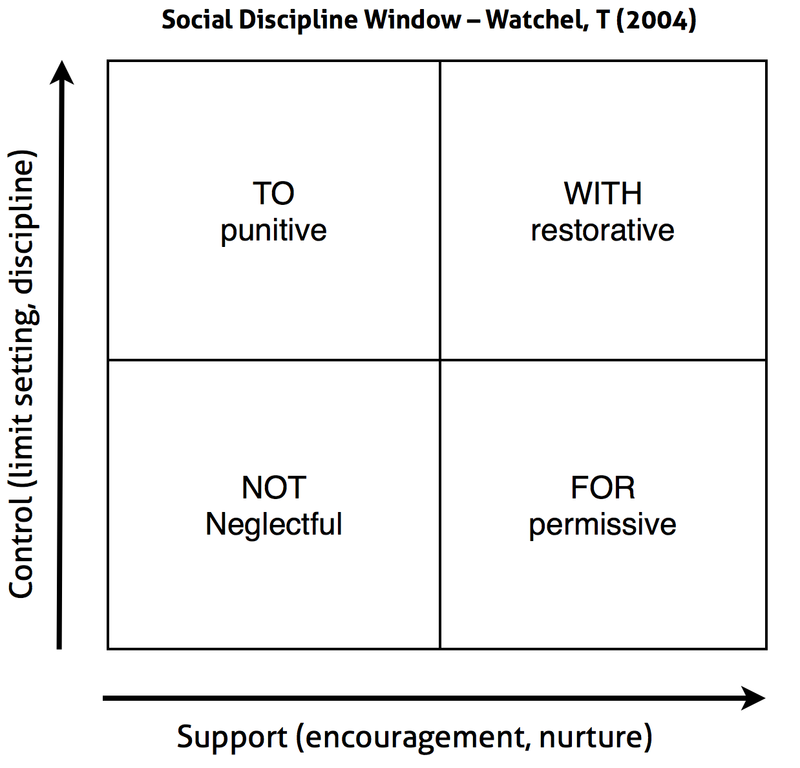 I strongly recommend that schools start with a strong foundation when it comes to behaviour and one of the best ways to build on this strong foundation is through Restorative Practices. We don’t just want children who do as they’re told. This is not the end-game. We want children to be responsible, autonomous and independent – and that’s just for starters. If you need help with any of these key elements or want help preparing children for a future we haven’t imagined yet, get in touch.